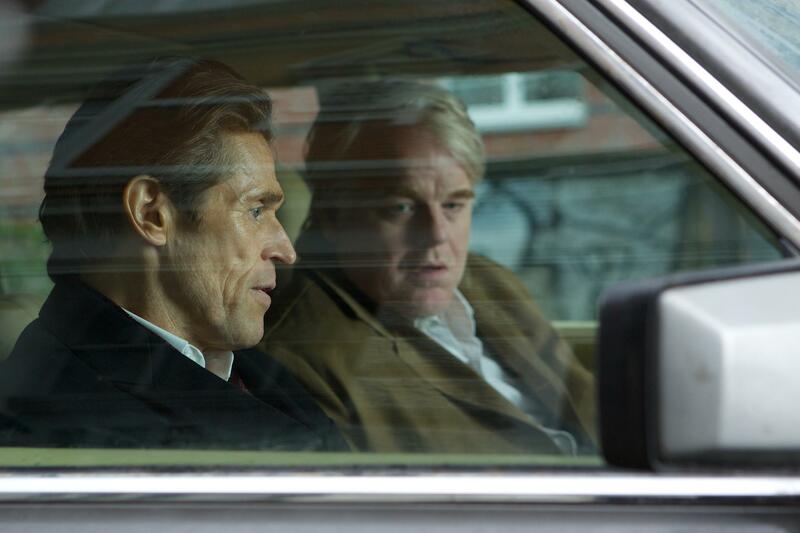 Philip Seymor Hoffman’s farewell-ish role sees him play German intelligence operative Günther Bachmann in A Most Wanted Man, an adaptation of John Le Carré’s 2008 spy novel by Anton Corbijin. It was all pretty underwhelming and not a role Hoffman may be remembered for with his unnerving German accent and cigarette permanently propped in his mouth as he struts along. He is running point on an op in Hamburg is to bring in Issa Karpov (Grigoriy Dobrygin) a Chechen refugee seeking asylum who suspected by of being a deadly terrorist. Bachmann is more interested in using Karpov as bait for some bigger fish than one of his intelligence counterparts, Dieter Mohr (Rainer Bock) wants to bring him in right away for a mark on the political scoreboard. The CIA also come into play with Martha Sullivan played by Robin Wright from House of Cards also seeming to have an interest in this matter on foreign soil and her wolfish demeanor makes you feel like she at least holds one string in this show. It is apparent Karpov is the “most wanted man” and the film would have done well to take more of an interest in him and his situation but it is more concerned with those interested in him and their workings. One of the persons with a concern for him is a broadly drawn up hippie lawyer played by Rachel McAdams. She appears keen on helping him just because and there doesn’t seem to be any real point to her character except to give Karpov someone to be moody around amidst a flurry of suspect glances between the 2. She also brings along a questionable German accent to the table. Karpov really does nothing of note and is a largely recessive character waiting for the final act were he becomes a more useful pawn in the script. I may have gone in expecting a lot from Hoffman and he does his part but as the film wore on it became apparent some meat to the character of Karpov was lacking which is no fault of the actor but the script. Hoffmann is top billing for the script and he plays the part well as the overweight, shabby and weary operative – the kind we are not used to seeing in espionage thrillers. We never doubt his commitment to the job and the expertise he brings but for 2 hours his character offers little more. Every character fits in with BarchmanN’s sting operation but nothing else. The film in the end almost appears to be a docu-drama trying to show us the workings of and intelligence team seeking out a major terrorist. This may probably be a near accurate depiction of an actual intelligence team at work but that means suspense and thrills are perhaps sacrificed. It lumbers on with the same dull tone that cloaks the films intentionally overcast pallet and central characters tone. I was a little upset by how underused Daniel Brühl (a part of BarchmanN’s team) was and in truth most of the cast is with Hoffman’s understated dominance of the film. Willem Dafoe shows up as a banker with seemingly unclear motives but is of course also a pawn in Barchman’s patient operation. The film is well aware of the political climate and Director Anton Corbjin is very calculating in the way he delivers key moments in the film, one could say almost too calculating. He ultimately delivers a very precise espionage tale that is lacking in a substantive connection to the characters and a little excitement that would have made it more engaging for most of its audience.